Mix mayonnaise, basil, and oregano in a small bowl; spread mixture on one side of each bread slice. 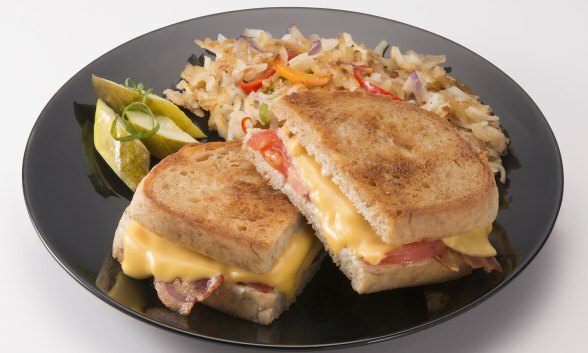 Top each bread slice with 1 slice each of cheddar cheese, brick cheese, tomato, provolone cheese, and bread. Lightly butter outside of each sandwich. Add sandwiches to basket in AirDaddy® air fryer. Cook at 400° for 8 minutes, flipping halfway through cooking.